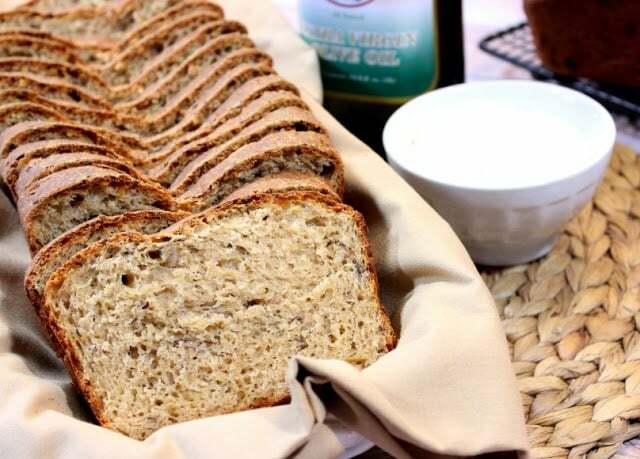 This Whole Wheat Caraway Cheese Batter Bread is loaded with three kinds of cheese, lots of spicy caraway seeds and a healthy blend of whole wheat and all-purpose flour. There’s a powerhouse of flavor in each and every slice. By now you know, I can never follow a recipe without making changes to it. That doesn’t mean that the original recipe isn’t’ good enough. Hardly. It just means that I like to put my own creative spin on everything I do. To me it’s what makes cooking and baking so much fun! This recipe is no exception. The original Caraway Cheese Batter Bread is from Kerry Dunnington’s cookbook “Tasting the Seasons” and can be found on page 217. Perhaps you remember this book from when I posted Kerry’s recipe for Carrot and Leek Gratin back in March 2015, and I also did a giveaway of her cookbook to one lucky winner. I highly recommend Kerry’s book. It’s become one of my all time favorite cookbooks. 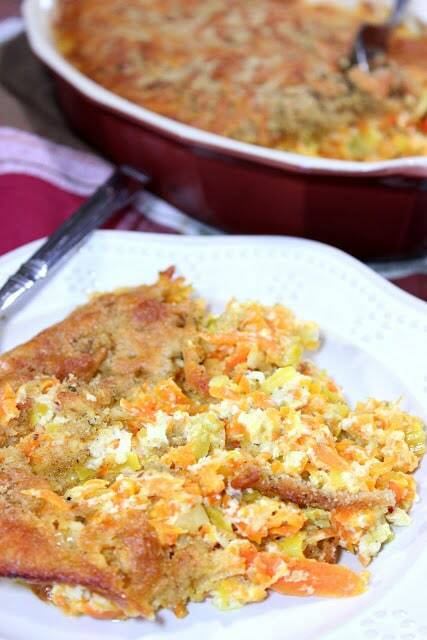 Here’s a quick pic of the Carrot and Leek Gratin. It’s AMAZING! I honestly didn’t do all that much to change up Kerry’s original recipe for this bread. But what I did do was double the recipe in order to get two loaves instead of one. I also added two additional cheeses to Kerry’s one, and because I try hard not to eat all white breads these days, I also incorporated whole wheat flour in place of Kerry’s all all-purpose flour loaf. And, where Kerry’s recipe called for sugar (to feed the yeast), I used honey. See? Not that many changes happened here. along with the whole wheat flour until the dough comes together into a ball. smooth and elastic (using more flour if the dough is too sticky). approximately 45 minutes in the preheated oven until the loaves sound hollow when tapped and they’re golden brown. pans and allow to cool completely before serving. Oh, I forgot a very important step in the instructions for this (and all recipes) that is imperative to delicious cooking in the kitchen…don’t forget to tie on one of my new hand painted aprons before you begin any cooking or baking projects. 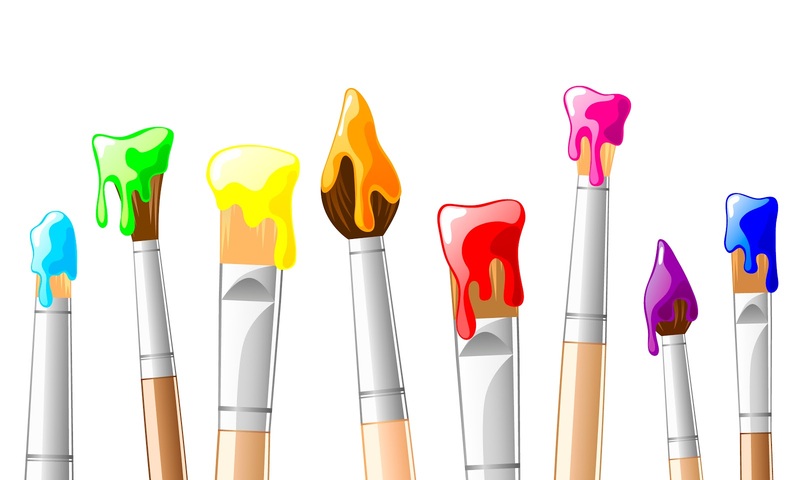 I paint each and every one of them with love and great care, just like every tasty treat you turn out in your own home kitchen. If there is ever anything I can paint for you, please don’t hesitate to contact me or visit my shop. 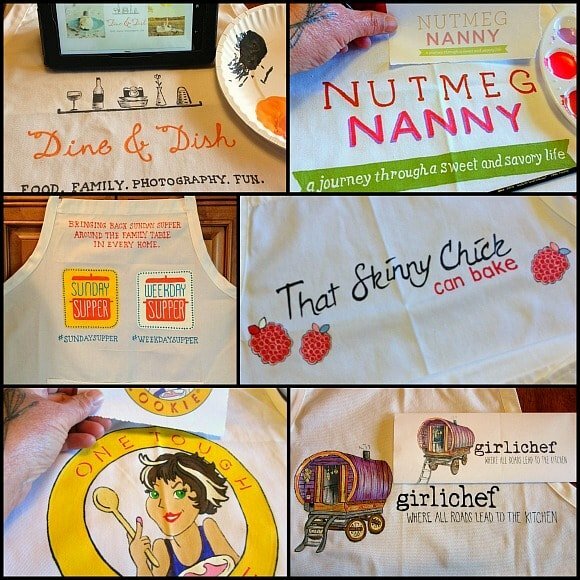 Custom orders are always welcome, and my line of custom food blogger aprons are the perfect tool for branding yourself during all of your public appearances. 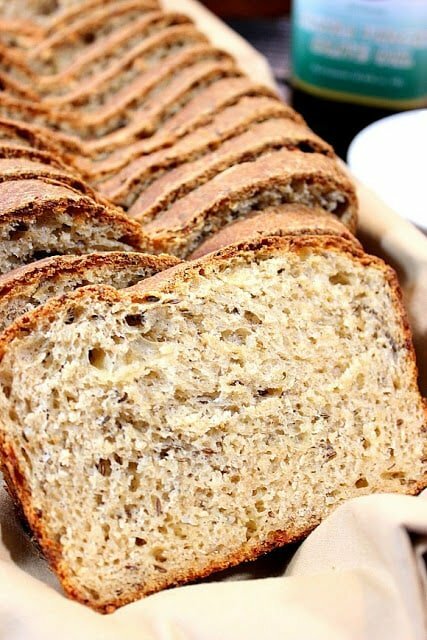 The texture of this bread looks so perfect! Great recipe! You are such a talent in & out of the kitchen! This bread…Want!! Looks like it came out perfect, light and fluffy! 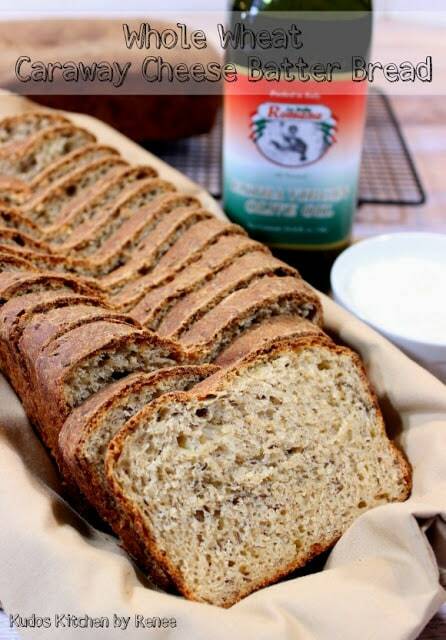 Holy *(^&)%^*($%*^ Renee this whole wheat caraway cheese batter bread looks so heavenly. It makes me wish to go back to baking breads even if my son has gone low carb recently. 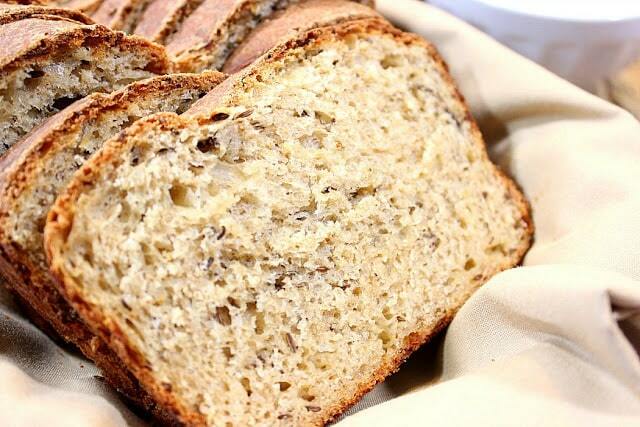 I adore the flavor of caraway – and with the cheese in this bread! Sounds totally delicious! I love that you used some whole wheat here! It looks delicious. I'm a sucker for any type of bread that contains caraway seeds. I love the smell, what I'd give to be in your kitchen when those came out of the oven. This looks wonderful! I'd love to make a pile of sandwiches with it! This bread looks absolutely delicious! My husband would drool over this if I made it for his sandwiches! I'm convinced that I would love this bread! First of all, it's whole wheat. Second, there are three cheeses. What's not to love? !